Here in the TWIAsphere we are always encouraging wedding suppliers of all shapes and sizes to enter our awards. Entering awards is good for you and good for your business, we say. If you don’t try, you’ll never know, we say. So, back in November last year we decided to lead by example, practise what we preach and follow our own advice. 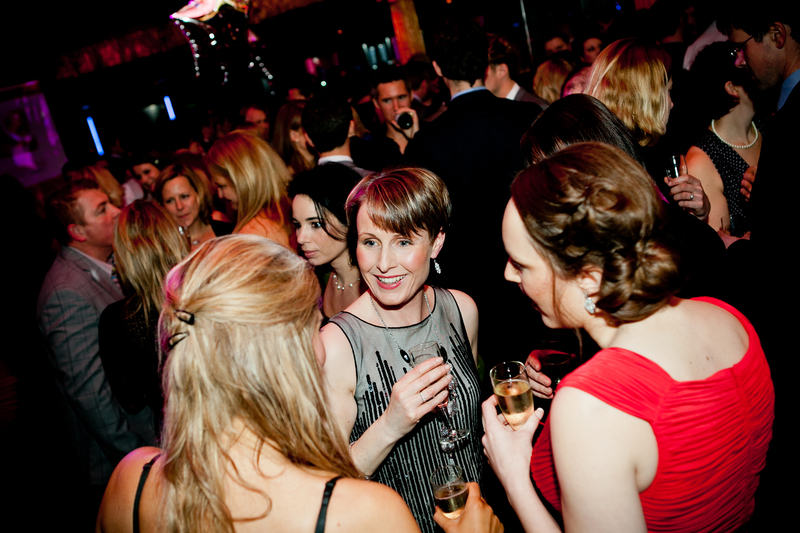 We entered TWIA into an awards. The Awards Awards to be precise. Yes, you’ve guessed it. The Awards Awards is an awards programme for awards businesses. We had been looking for an appropriate awards to enter for a while when we heard about The Awards Awards. We looked into it, liked what we saw, took the plunge and entered. From the very start it was fascinating to be on the other side of an awards process. To be an entrant not an organiser. As part of the entry process we had to submit a 1500 word summary of our awards in addition to providing, where necessary, further suplementary information in response to questions from the judging panel. We found spending a considerable amount of time thinking about our business an extremely interesting and cathartic process. Asking ourselves what TWIA actually does, how it does it and for whom and then putting it all down on paper succinctly. Like a lot of self-employed people, we very rarely give ourselves a moment to stop and look at everything we have achieved, but The Awards Awards entry process gave us an opportunity to do this. 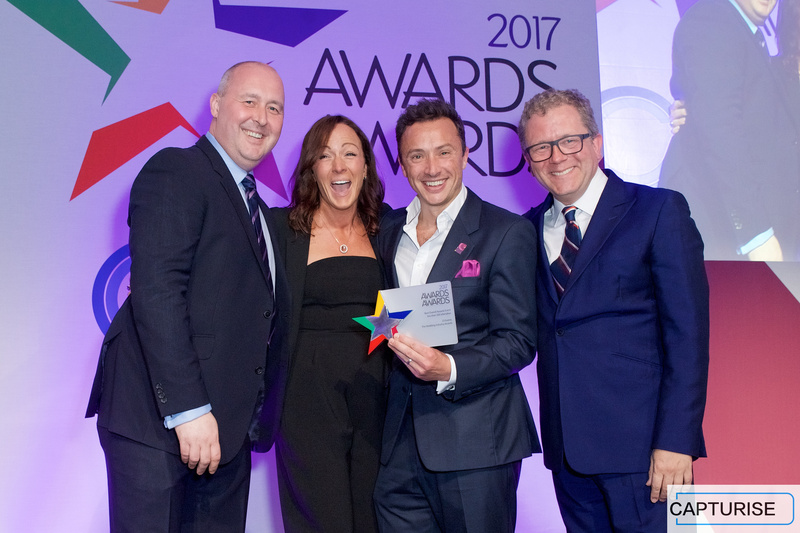 We didn’t think we would win but we will admit to giving ourselves just a small pat on the back for simply going for it, both with TWIA and these awards. We submitted our entry. 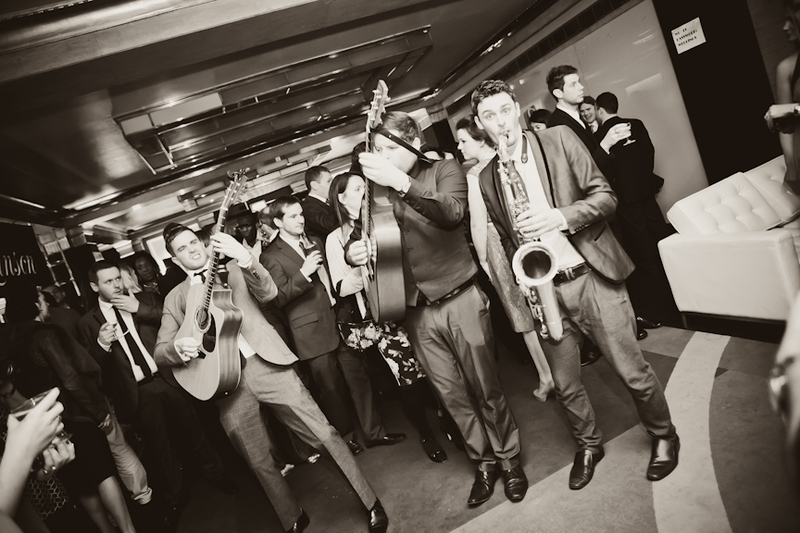 We felt excited and we felt brave, just like OUR entrants feel when they enter TWIA. On March 1st we found out that we had been shortlisted in two categories: Best New Awards Event (for the TWIA Regional Awards Events) and Best Overall Awards Event for under 500 people. Well, it had suddenly got just a little bit exciting, hadn’t it? That is until we saw the other companies and events we were up against. 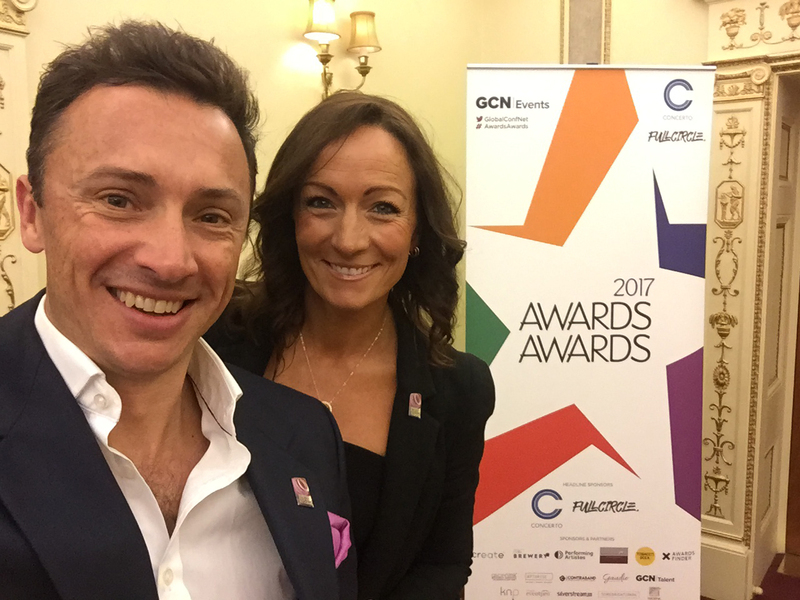 Huge multinational publishing companies like EMAP and Incisive Media, national charities like Stroke Association and huge events like the Great British Entreprenuer Awards and Retail Week Rising Stars. One other finalist in particular summed it up for us. The brainchild of Sergey Brin (yes, the Google guy) and Mark Zuckerberg (yes, him! ), the Breakthrough Prize is the largest prize in science with a total of over $25 million in prize money. Their event takes place in Hollywood and is attended by all sorts of A-list celebs. Last year it was hosted by Morgan Freeman. How could we possibly compete with that? 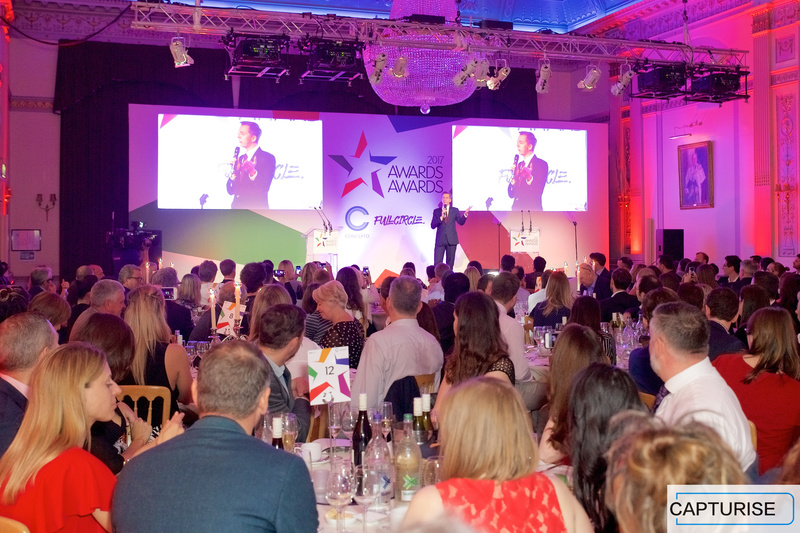 Well, we decided to take the whole team and bought two tickets for the lunchtime awards event held at Plaisterer’s Hall in the City of London on Friday 12th May. Everyone seemed to know everyone else and looked to be from big, confident businesses who probably already had cabinets full of awards. We took a few selfies and tried really hard to look cool, calm and collected because we attend these sorts of events all the time, right? Sound familiar TWIA entrants? After some great entertainment and an excellent lunch it was down to the main event; the awards presentation. 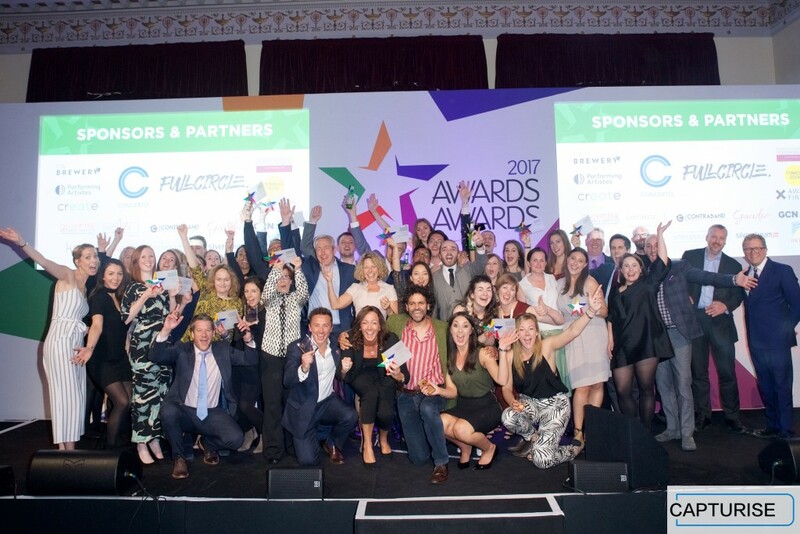 Whilst we were pretty sure that we wouldn’t win there is no denying the butterfiles and a little squeeze of hands under the table when we came to the first of our categories; Best New Awards Event. 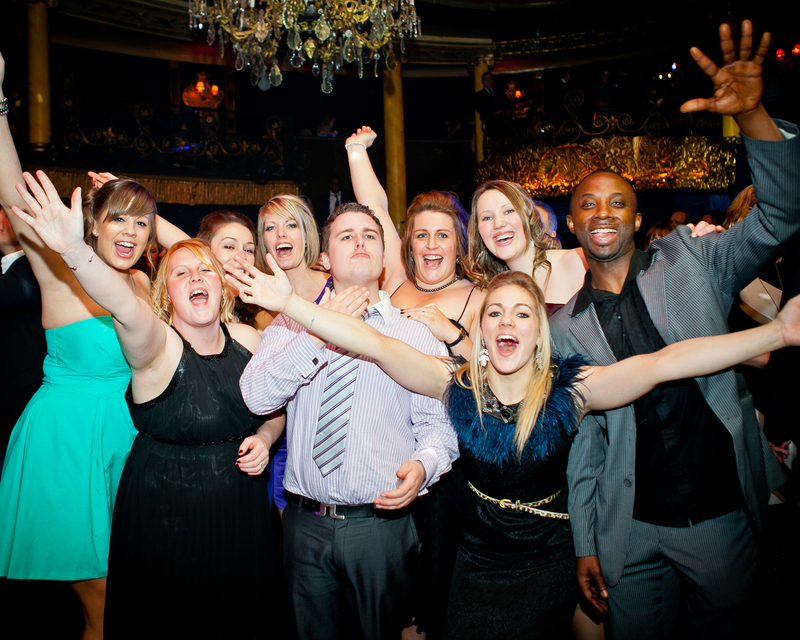 “And in third place…23 Events – The Wedding Industry Awards”. We couldn’t believe it! We were delighted to be recognised in such good company. All our hard work had paid off and it felt amazing to hear our name read out. I’d be lying if there wasn’t a hint of disappointment not to have won but when we saw who the second and first placed awards were we were delighted to have been in the mix. More categories, more winners announced. Then, the presenter said something like, “And now we come to the first of our two main categories, Best Overall Event under 500 people.” One of two main categories? We had no idea about that! “In third place, and the recipient of the bronze award is”…not us. “In second place, the silver award goes to”…not us. Oh well, we got a Bronze in the other category which was more than we had hoped for. Us? Tiny little TWIA? Really? Not one of those big companies over there? Are you sure? Apparently they were sure. We had won. To be honest it’s all a bit of a blur after that. I am pretty sure we didn’t embarrass ourselvess too much (though our kids disagreed when they saw the video of us receiving the trophy). It was just all so unbelievable. The following judging comment was read out as we made our way to the stage, shook hands with everyone and collected our trophy. 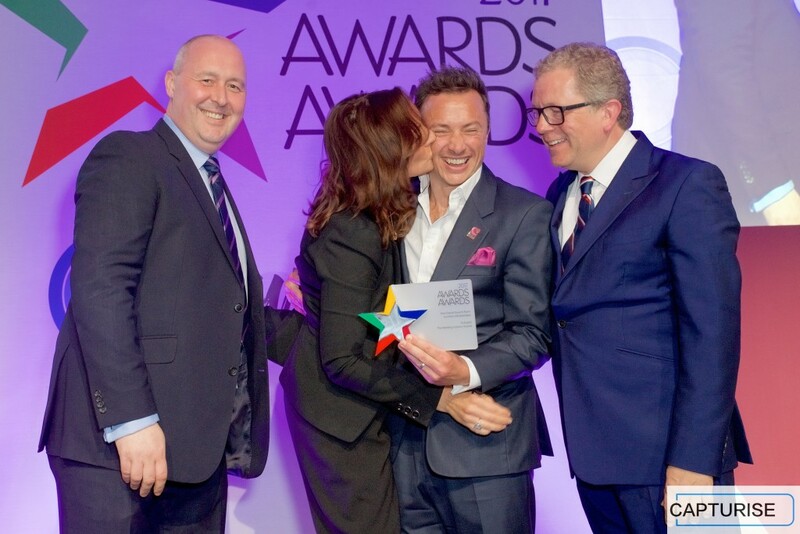 Being involved in The Awards Awards has been a truly enriching experience both personally and from a business perspective. To step outside our comfort zone and practise what we preach just felt like the right thing to do and the right message to send out to our audiences. To have had an entrant’s-eye view of being involved in an awards has been fascinating and this experience will no doubt have a positive effect on TWIA going forwards. We were forced into a period of introspection as we put together our entry submission. We got to feel and appreciate the excitement of both the process and the event. We felt the disappointment of not winning. We felt the elation of winning. We are always trying to be better at what we do and I know our experience in The Awards Awards will help us in this goal. Our over-riding feeling since winning on Friday is that we are just so glad we stuck our neck out and entered because if we hadn’t we wouldn’t have had a chance to have any of those experiences and feelings. 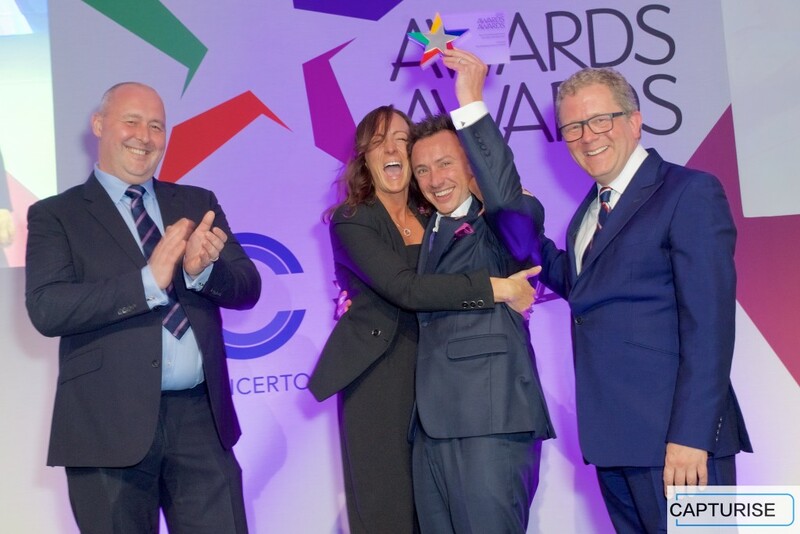 Our experience in The Awards Awards has reitterated to us that well-run awards programmes do not simply give all the awards to well-established, well-known businesses. The judging panels in question work hard to produce honest, reliable and independent results. 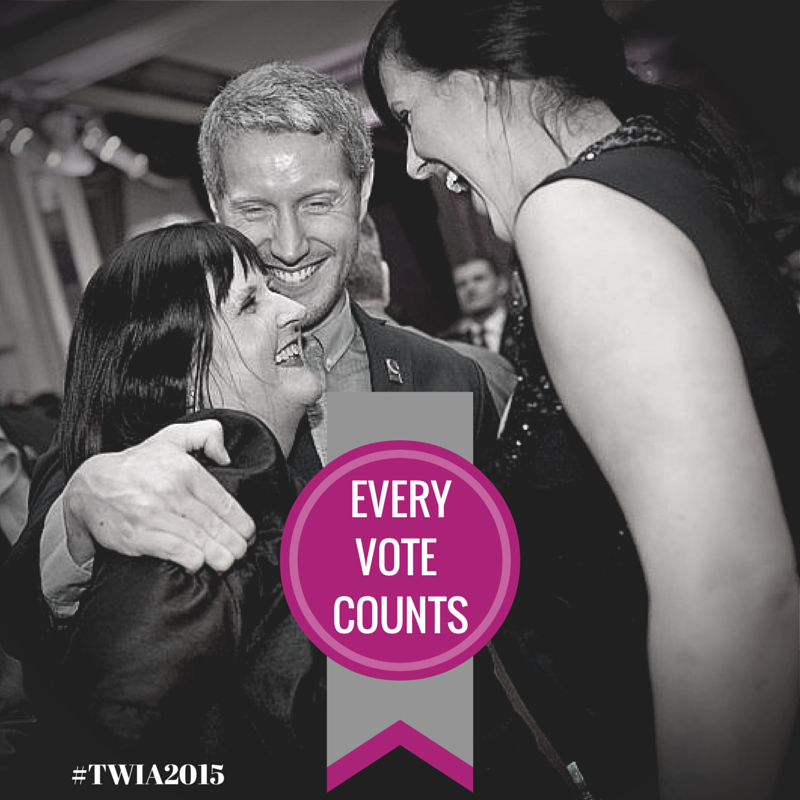 A huge ‘THANK YOU’ to everyone who has worked with us to create TWIA over the last few years. Joel, Emma, Carli, Dan, Matt, Jules, Harry, Keiran and Dom (not to mention the companies/sponsors we have worked with over the years). Everyone works so hard but we have a lot of fun along the way. Thanks also to all the wedding suppliers who have entered TWIA and come to our regional and national events over the years. There would be no TWIA without you all getting involved and creating the unique atmosphere and community that we have come to know and love. We couldnt have put it better ourselves. …it could be you next time. 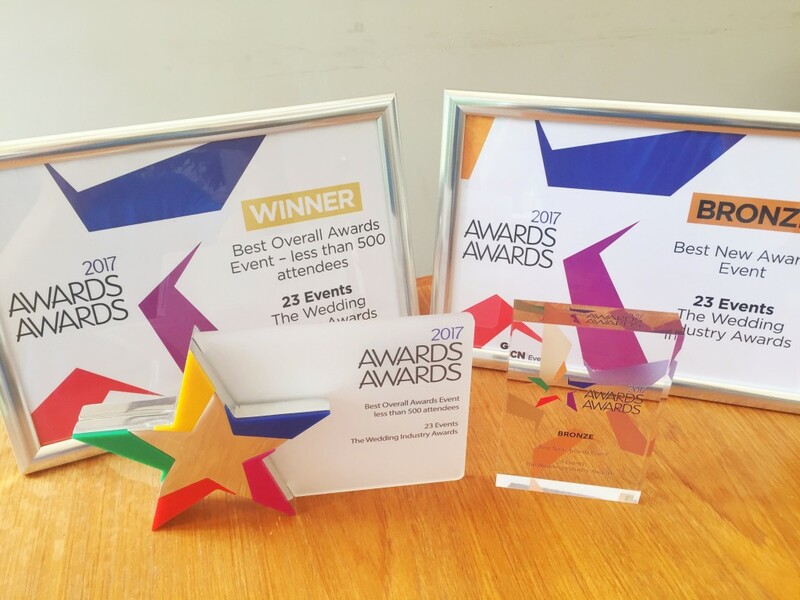 For full details on how TWIA works and the ENTER your business, NOMINATE a wedding supplier you know or SEARCH for the best supliers for your wedding CLICK HERE.